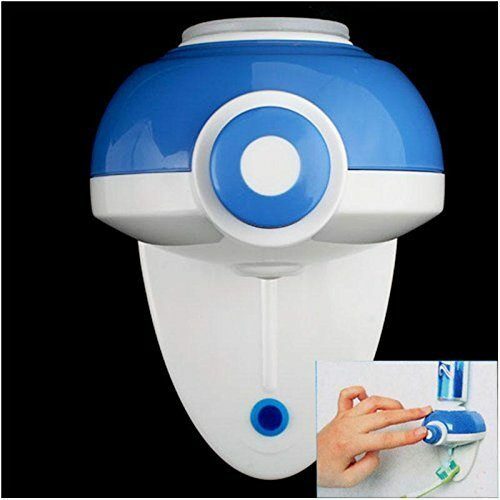 Automatic Toothpaste Auto Squeeze Dispenser Only $4.31 + FREE Shipping! You are here: Home / Great Deals / Amazon Deals / Automatic Toothpaste Auto Squeeze Dispenser Only $4.31 + FREE Shipping! Don’t fight with your toothpaste tube with this deal – get this super handy Automatic Toothpaste Auto Squeeze Dispenser for just $4.31 + FREE shipping! This dispenser is highly rated, and I love that it attaches to the wall and dispenses toothpaste with just the push of a button! Auto squeeze out toothpaste dispenser. Easy to use, stick on the wall and put toothpaste in. Touch the button to squeeze toothpaste out. No residual toothpaste left, save your money and resources.